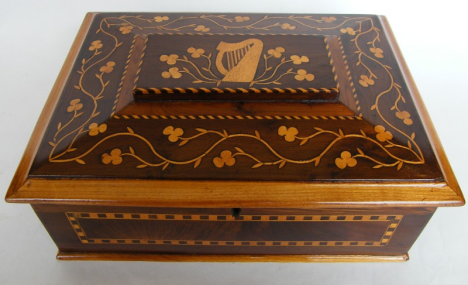 Superb Irish Killarney Ware Arbutus Ladies or Gentleman's Jewellery Casket, complete with original lift out tray. Mid Nineteenth Century. 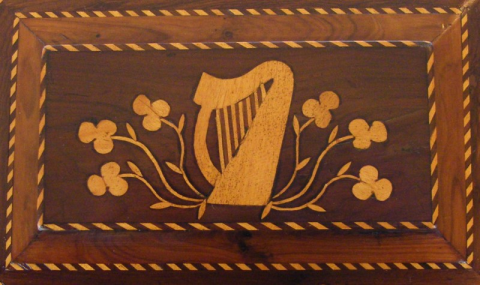 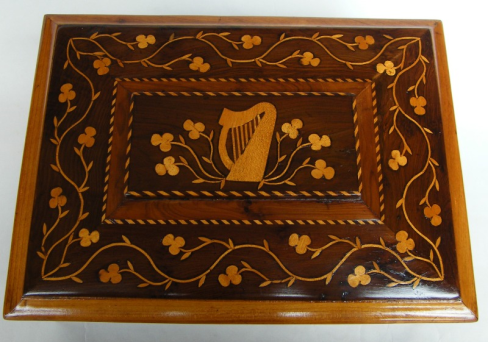 The domed shaped lid with a central rectangular tablet, both lavishly inlaid with Irish Shamrocks and a central Harp. 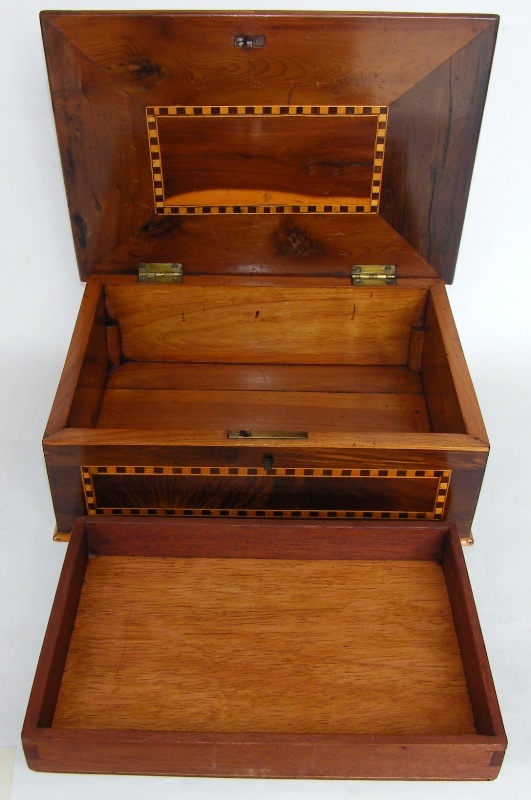 Condition: This piece has been professionally restored, original firm hinges, lock is present key is lacking. Width: 11.5" (29.5cm). 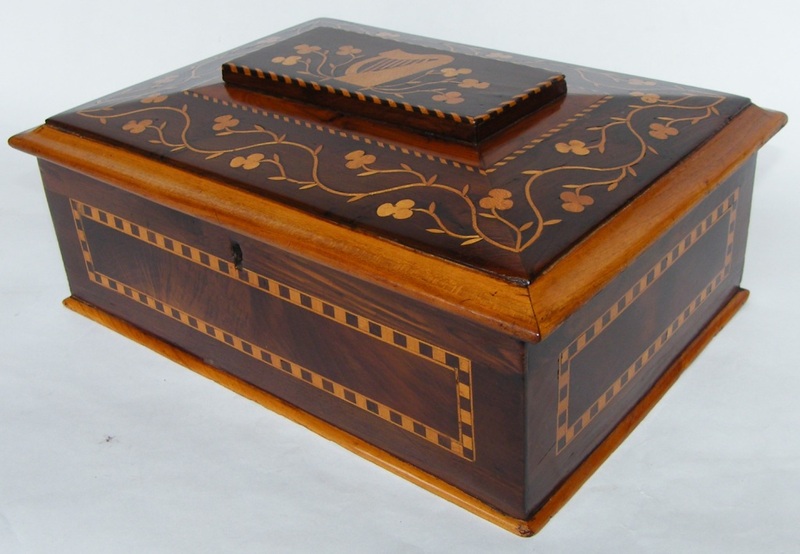 Depth: 8.5" (21.5cm). Height: 4.25" (10.5cm).